Detective Pikachu is ready to go! At long last, the live-action Pokemon movie fans have been hoping for all these years is actually happening. Well, maybe not exactly the movie they've been hoping for, but it's a live-action Pokemon movie nonetheless. Legendary Pictures' Detective Pikachu movie, which was announced last year, is finally set to start filming in January 2018 in London, according to a new production listing. Detective Pikachu may not be the first thing most fans of Pokemon would have at the top of their list in terms of a live-action adaptation, but it's a place to start. The production listing for this live-action Pokemon movie was spotted by the folks over at Omega Underground and, according to the listing, Detective Pikachu is set to start filming on January 15, 2018, in London. The listing also reveals that the working title for Detective Pikachu during filming will be Gumshoe, for whatever that's worth. 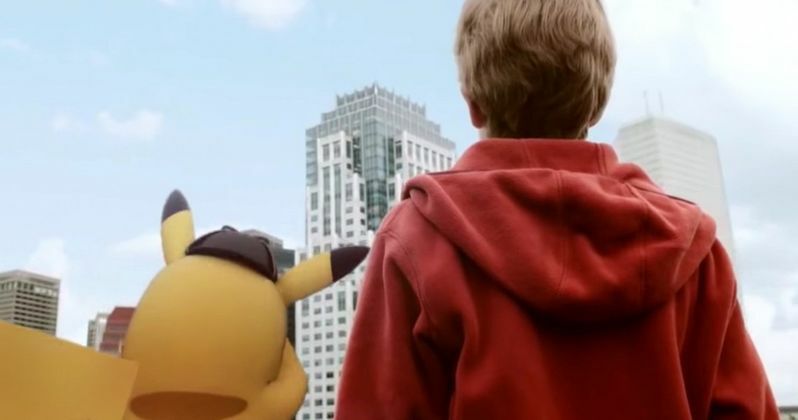 The idea of doing a live-action Pokemon movie has been kicking around for a very long time, but only last year, given the success of the Pokemon GO mobile game, did some traction actually pick up. Legendary Pictures won the rights to take on the project last year and decided to fast track it. Now, the movie is about to become a reality in just a few short months. Pokemon was first introduced to the world, starting in Japan in 1996. In the years since, it has captivated fans of all ages around the world and has exploded in popularity. With more than 279 million video games sold worldwide, 21.5 billion trading cards shipped to 74 countries, and an animated series spanning 19 seasons, not to mention all of the animated movies, Pokemon is one of the most successful entertainment brands in the world. So a live-action movie makes a ton of sense, it just took a long time to actually make it happen. There's still no official synopsis for Detective Pikachu yet, but the movie is to be based on the game of the same name. The game follows a talking Pikachu who isn't as powerful or physically gifted as other Pikachu are, but he is quite intelligent and claims to be a great detective. Oh, and he talks. In the story of the game, this Pikachu encounters a boy named Tim Goodman, who is able to understand what he's saying. The two then begin working together to solve various mysteries in the city, all involving Pokemon. No release date is set for Detective Pikachu yet, but the creative team is firmly in place. The Detective Pikachu script was written by Alex Hirsch (Gravity Falls) and Nicole Perlman (Guardians of the Galaxy) with Rob Letterman (Goosebumps) set to direct. Omega Underground's report didn't make any mention of casting, but with the production slated to begin in January, we should be hearing more details on that front very soon. We'll be sure to keep you up to date as more details on the Detective Pikachu movie are made available.